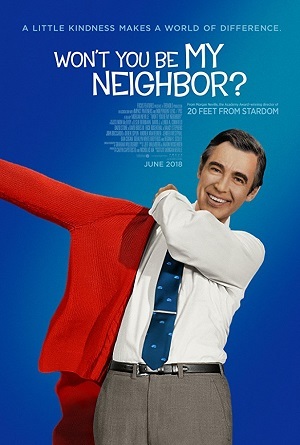 It’s impossible to watch Morgan Neville’s (20 Feet from Stardom) Fred Rogers documentary Won’t You Be My Neighbor? and not come away from the experience moved. Here was a man, a Presbyterian minister, who took it upon himself to change the face of television by crafting a program, the long-running “Mr. 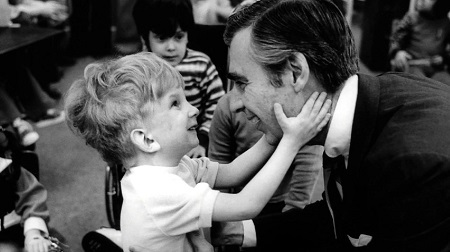 Rogers’ Neighborhood,” that treated children with respect and intelligence while at the same time taught everyone who watched it the healing and cathartic power of kindness. His show celebrated the power of imagination while also refusing to shy away from discussing subjects thought to be kid television taboos like death and divorce. Most of all, Rogers put forth an idea that every child from every background, no matter what their race or gender, could aspire to be whatever their hearts desired. This was the Neighborhood as he saw it, a selfless place where a community built on compassion and love could accomplish anything, a place where every child was valued, taken care of and made to feel wanted and safe. Watching Neville’s film, it’s instantly apparent this was a sincere, lifelong belief on Rogers’ part. He came to this realization early on, believed in it so much that in one his earliest shows in 1968 he had Daniel Striped Tiger ask his friend and confidant Lady Aberlin, “What does assassination mean?” This was right after Bobby Kennedy was gunned down, and he knew children across the country were asking tough questions and wanted honest answers to help allay their fears. Over the course of more than three decades and 1,765 shows, Rogers again and again tackled problems like this head-on and without condescension, and in the process became a television icon practically unparalleled in broadcast history. Neville focuses on the evolution of “Mr. 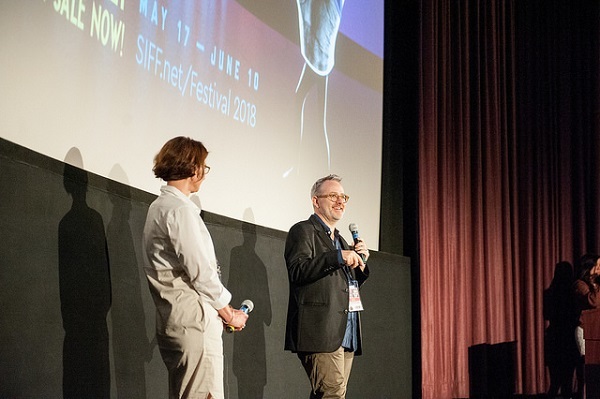 Rogers Neighborhood,” utilizing a variety of interviews with family, friends and co-workers, along with a substantial archive of behind-the-scenes and home movie footage, to do so. We watch as a man slowly but surely comes into his own, always wrestling with what the right thing to do is while ensuring each and every program he made puts children and their needs first above anything else. We see the show take shape, quickly hitting its stride with the aid of folks like Betty Aberlin (Lady Aberlin), David Newell (Mr. McFeely), Joe Negri (Handyman Negri) and François Scarborough Clemmons (Officer Clemmons) all providing vital assistance in order for it to happen. Clemmons provides some of the more insightful observations, revealing how the classic kiddie pool scene between his character and Mr. Rogers came about as well as the difficulties he faced being gay and being forced to remain closeted if he wanted to remain a vital part of a hugely popular PBS children’s program. He talks directly about the friendship he had with Rogers and the many complexities that came along with it. It’s eye-opening stuff that adds additional layers to the film I honestly wish Neville would have explored a little more fully than he actually does. But the fact is Neville doesn’t shy away from analyzing the legacy Fred Rogers left behind in as detailed a manner as he can. We watch as Rogers struggles to come up with the right words to say to children after the events of 9/11. We see his interviews and testimonies to Congress where he speaks from the heart without the aid of his prepared text, and in doing so convinces at least one Senator to change his mind about continuing to fund PBS. We laugh along as Eddie Murphy parodies “Mr. Rogers’ Neighborhood” on “Saturday Night Live” and we smile broadly watching the man talk directly to children during small get-togethers with the aid of Daniel Striped Tiger. And, ultimately, we sit their dumbfounded when FOX News anchors attack Rogers for having the temerity to tell all children everywhere that they’re special and are aghast to see images of the Westboro Baptist Church shamelessly and cruelly picket his memorial service after his death in 2003. 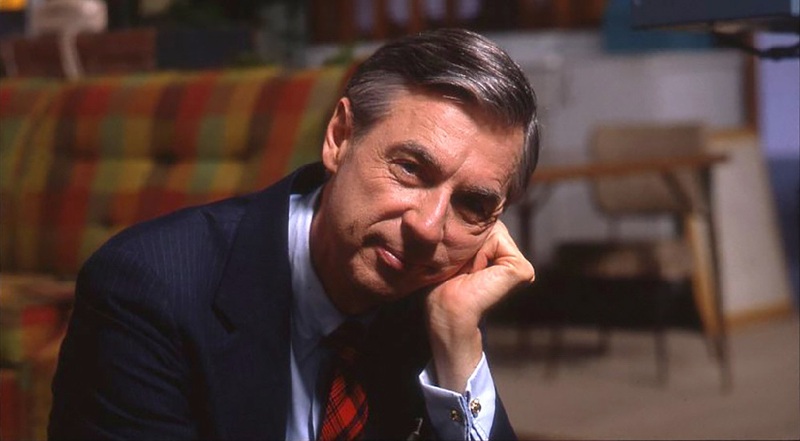 In the end, however, what Fred Rogers leaves for us to treasure and explore is a history of empathy and kindness we cannot allow to be forgotten. In a current climate where differences are ridiculed, children fleeing genocide are ripped from their parent’s arms and vocal minorities use social media and other technological platforms to spew hateful epitaphs at anyone daring to disagree with them, understanding the lessons of the Neighborhood are more important now than maybe they ever have been before. 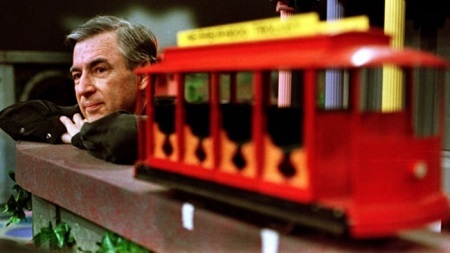 All of which makes Won’t You Be My Neighbor? an essential piece of filmmaking excellence viewers of all backgrounds, ethnicities, cultures and political persuasions owe it to themselves to see at the earliest possible opportunity.